The importance of content distribution cannot be overstated. Your team has poured time and resources into creating content and optimizing your experience, but it's all for nothing if your content goes unseen. 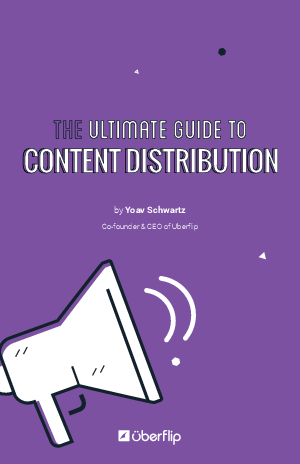 This eBook aims to provide you with an advanced understanding of content distribution in the B2B space, as well as provide an inside look at the tactics and channels (including social media, organic search, email, and paid programs) you need to be leveraging to effectively distribute your content to your audience.